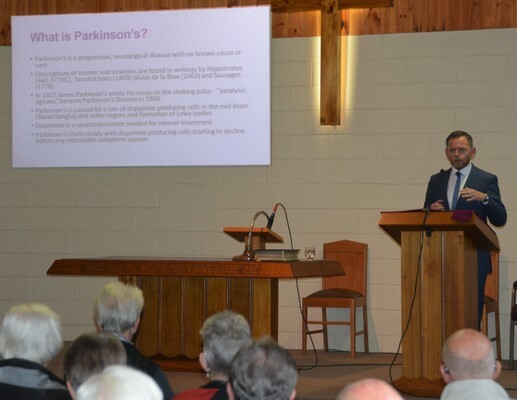 Ocean Grove Bellarine Parkinson’s support group enjoyed a talk from Parkinson’s Victoria clinical nurse consultant Victor McConvey. Mr McConvey spoke to around 70 people at the seminar about Parkinson’s Disease, including symptom management and treatments. “The aim is to help people through the process,” Mr McConvey told the Voice before the seminar. 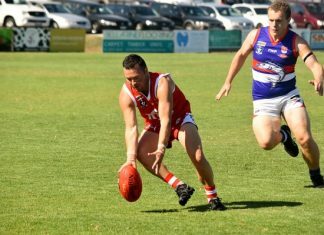 In Australia, 27 people are diagnosed with Parkinson’s each day and that number is increasing by four per cent each year. Around 27,000 people in Victoria are living with Parkinson’s, 83,000 in Australia. Around 10 per cent of people with Parkinson’s are under the age of 40, dispelling the myth that is primarily a disease that attacks older people. Around 20 per cent of victims are aged under 65. 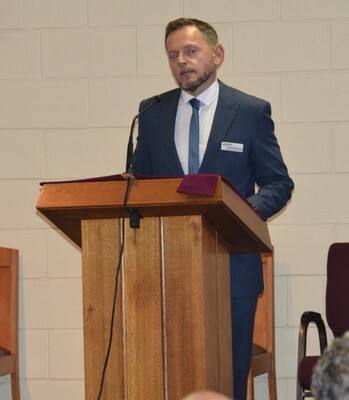 Ocean Grove Bellarine Parkinson’s support group meets every second Wednesday at Church of Christ Hall, Tareeda Way, from 1pm to 2pm for Parkinsong and then 2.30pm to 4pm for the support group. For more information, phone Pam Healy on 5255 5152.